President Museveni chaired the 6th round of the annual Presidential Investor’s Roundtable (PIRT) today at State House Entebbe. You our wananchi were represented by respective officials of Government agencies and departments, international and local private sector representatives in sectors of Tourism, Agriculture, Minerals, oil and Gas and Transport. The overall aim for this meeting is to improve Uganda’s competitiveness in the world economy. 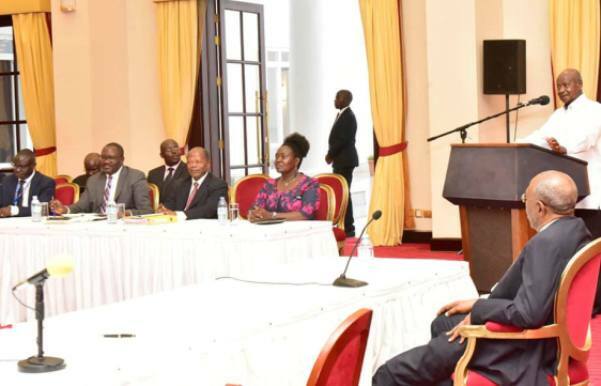 This is a very useful forum where we interface and get free consultancy that inject energy in an otherwise laid-back way of doing things,’’Museveni said. The cost of electricity for manufacturing is currently at 8 cents per unit and it shall go as low as 5 cents for big, medium and small enterprises. We are taking steps to reduce cost of money(interest rate) and cost of internet for our people in manufacturing, agriculture and some elements of services.